Have you ever worked in an organisation that doesn’t have an IT strategy? I have and it was messy. The IT team spent huge amounts of time and effort identifying what the plans were and how they aligned with the business. It just added another layer of complexity that could have been avoided by creating an IT strategy. An IT strategy document clearly bridges the gap between the technology group and the rest of the organisation. It indicates that IT understands the direction and goals of the business. Without one, the technology department is open to all sorts of criticism – usually centred around it being a cost centre, and CIOs and their staff not understanding the organisation’s priorities and business goals. So to avoid that angst, here are 3 essential things your department needs to do when creating an IT strategy document for approval by the business. Firstly, make it easy to understand. 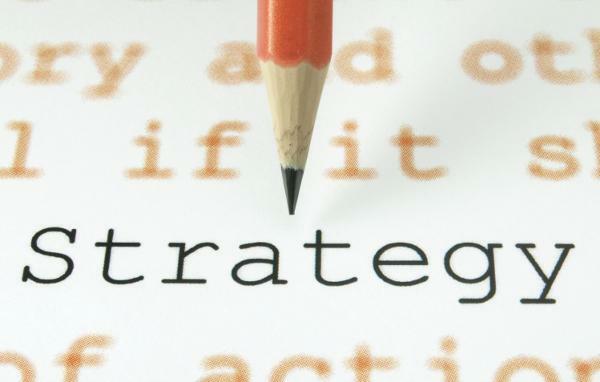 Your strategy is a business document that needs to be easily viewed and understood by anyone in the business. The core details should be engaging, clear and concise. Readers should be enthused by the content – which explains concepts in plain English – and there shouldn’t be any technical information. Technical details should be identified in further operational or tactical documentation. Remember that an IT strategy demonstrates the IT group’s value to the organisation, which will be diminished if people don’t understand the outcomes. Therefore, there is an advantage to having several business representatives who were not involved in the development, to critique the document and provide feedback on their interpretation of the key messages. Secondly, treat it like any other project. The creation of an IT strategy document should be managed as a project, because using a methodology works towards ensuring essential components are not missed. These items include engaging business stakeholders, setting timeframes, resources required, internal information gathering, technology research, review and receiving sign off on the final document. Importantly, it is not just about following a strict process, but also demonstrating some of the key skills of the IT department, such as collaboration, governance and articulating strengths and challenges within the current environment. Any potential gaps in understanding between IT and the business should be resolved during the project by providing a clear understanding of key goals and how technology can help the organisation achieve them. During this engagement, expectations can also be managed and the change requirements and capacity of the organisation can be determined. Ultimately, priorities will need to be established and agreed. Another benefit of this approach is that it enables people to create relationships throughout the organisation. These connections are essential for all future business activities, projects, revision of the IT strategy and to continue to promote IT as a vital contributor and business enabler. Those involved can become IT’s biggest advocates in the business. Lastly, the final essential element is that the approved IT strategy document is realistic, achievable and measurable. It is vital that the organisation and IT are able to clearly identify the alignment to the business strategy by what is to be delivered, the resources available, progress being made and ultimately what success looks like. If the outcomes are not measurable, then success cannot be achieved. Ultimately, an IT strategy is so much more than just a document identifying the direction IT is taking. It is also a way of demonstrating the value of IT, enabling the business objectives, developing key relationships and as such, should be considered a must have for any business.